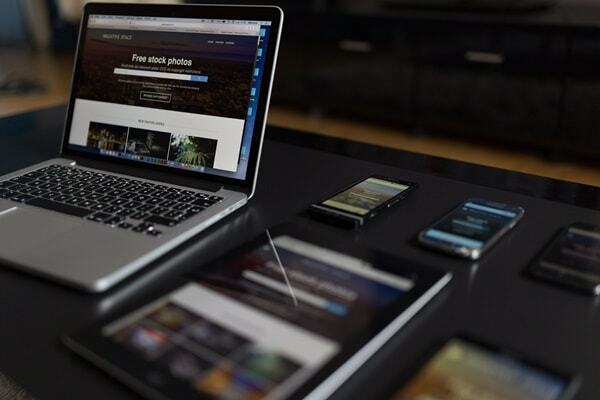 So, what is responsiveness and what makes a web page Responsive? These are fundamental properties in web development and let’s answer these questions one by one. 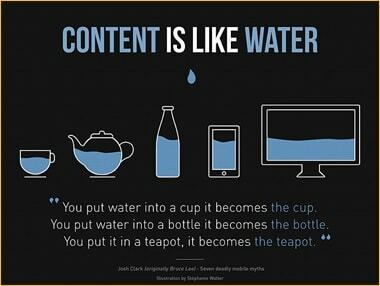 Responsiveness is the website’s ability to adapt to the dimensions of any device viewing the website. Whether the user uses a 42” ultra HD monitor or a 3” internet access smart phone, the website he sees will be legible and easy move through. The sizes of all elements in the webpage will shrink or enlarge according to the device screen dimensions. The layout also will change according to what device is used to view the website. There are a number of related terms like “flexible”, “liquid”, “fluid”, and “elastic” to relate to the form of layout being used. In the above image taken from its wiki page, we see that the same webpage on different devices. As screen size decreases the amount of content visible on the screen also decreases. And also, the layout of the content changes. If you look closely you will also see that the content size of images and paragraphs reduces considerably from large screen devices to small. so now you know what responsive is, now comes the more important part of the question, how do you make a website responsive? There are many ways you can follow to achieve a responsive design, you can use a custom plugin or js library to do it. You make get responsive attributes from the framework or ecosystem you use. You can get responsive designs also from custom css coding. We bring you the easiest and widely used method to make a website responsive, by using “Bootstrap” plugin and accompanying css and html coding. Firstly, we need a method by which your websites are zoomed and fit into the screen dimensions. Note that these are meta html tags that profile additional information to the parser in processing the webpage and written inside <head></head> section of html page. Now we link the js and css files of bootstrap into the html code you can use a cdn link to do so or a local file to use the plugin. This tutorial shows you the different options to do this.